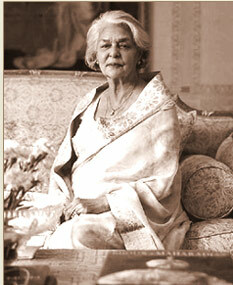 My memories of Rajmata Gayatri Devi go back to the early 1960s when she was at her beautiful best. As a student of her at Maharani Gayatri Devi Girls Public School in Jaipur I had never imagined that I would get a chance to work closely with her. I took to journalism soon after school and over the years I interacted with her intermittently and her confidence in my work grew. Other than two biographies I did a few other books for her. Later my involvement with INTACH in the 80s and the restoration of old historical monuments pleased her immensely and it also meant greater interaction between us. She happily accompanied me to various monuments to see the restoration work in progress and gave very valuable suggestions. Her profound interest in the city never ceased to amaze me. She was not only an iconic figure whom I idolised but somebody I was fortunate enough to know from close quarters. I feel truly blessed that she went on to become such an important part of my life. 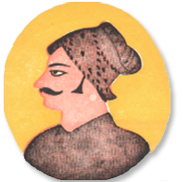 The Maharaja Sawai Jai Singh Benevolent Trust was started by late HH Maharaja Sawai Man Singh Ji and its philanthropic activities continued by late HH Rajmata Gayatri Devi of Jaipur. The Trust has been providing financial support to the weaker section of society and has been providing funds for both medical as well as educational needs. Over the years, the Trust has helped thousands of people, including the disabled, to lead a better life. The present Trustees are equally committed to carrying the good work forward and hold relevant fund-raising activities to be able to sustain these initiatives.